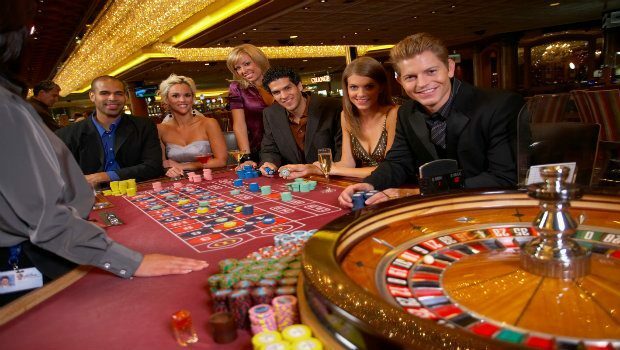 As one of the most universally recognised games, and a popular draw both online and in land-based casinos, Roulette attracts hundreds of thousands of gamers each and every day. Whilst the spinning wheel and the range of betting options are instantly recognisable, there are, however, distinct variations of the popular game. They still remain very similar, but it’s important for new players to understand the subtle differences before diving in. Roulette started to evolve in Europe and America at roughly the same time, although a number of differences started to appear from an early point. These include different colour-coded chips, unusual table layouts and different positioning of the wheel. But the American table style, with the wheel at the head of the table and simplified betting options, has been so widely adopted that there is really only one lasting difference between the two styles: the number of zeros. The single zero version of roulette emerged in 1843, when two Frenchmen in Bad Homburg Casino decided a game with less edge would make their casino more popular. It increased in popularity when they moved to the Monte Carlo Casino, and the game was soon exported across the world. In the 20th Century, it was Monte Carlo and Las Vegas that influenced the gambling traditions of the modern world: Monte Carlo’s single zero became known as European Roulette, whilst the more popular double zero in the US became known as American Roulette. These zero options are often referred to as the banker’s slots, and they are what gives the casino a house edge over the player - whilst the player is given odds out of 36, there are actually between 37 and 38 different outcomes. The American version of Roulette now commonly uses both 0 and 00. This gives the house an advantage of 5.26%, which is significantly higher than the versions with a single 0. Despite the poorer odds, traditionalists still prefer the double zero system, referring to it as the original form of the game. Its popularity has seen it widely adopted in physical casinos across the US, UK and Europe, with only a handful of casinos on the continent resisting the USA's influence. As mentioned above, the European version has only one 0 on the wheel, giving it a total of 37 different outcomes. This gives the house an edge of 2.7%, considerably slighter than the American version. European Roulette also includes a betting option named "En Prison", which gives players the opportunity to get half of their wager back on even/odd bets when the ball lands 0, thereby reducing the house edge even further for these 50/50 gambles. These subtle differences combine to make European Roulette a slightly more even game, making it the ideal choice for newcomers. As you can see, whilst the differences between these two games are slight, they can have a huge impact on your chance of winning. To try them both out online before heading to a real casino, log on to Mr Green Casino today and try your luck with real cash.